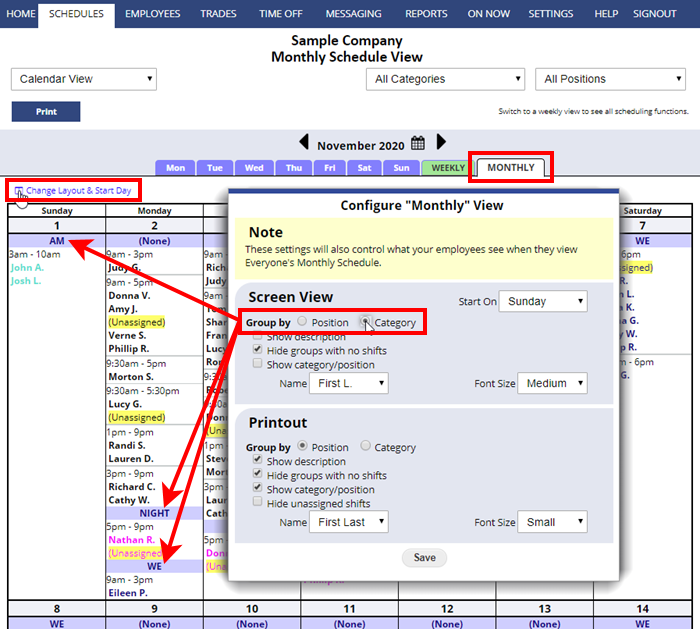 The Calendar Monthly view displays one month in a calendar format. This view does not have the weekly scheduling function buttons. To access these functions please use a weekly schedule view. This view can be grouped by Position or Category. 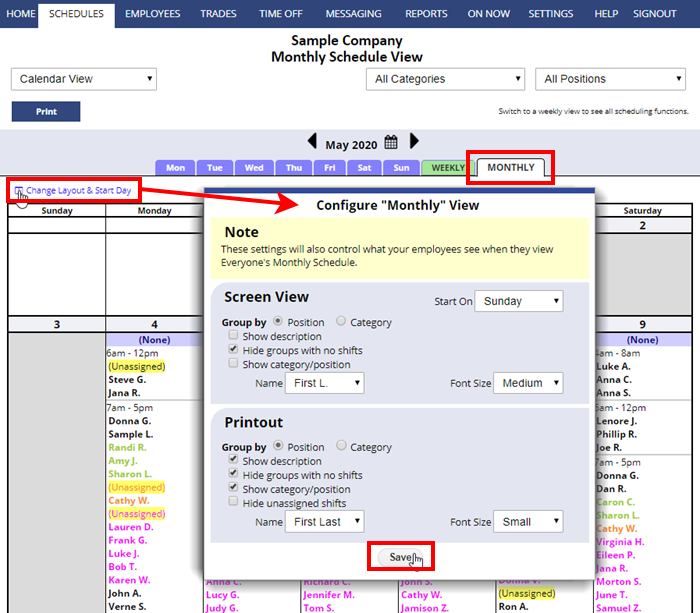 Change Layout options – Note that the account main manager settings in this view’s “Change Layout” window will also set how “Everyone’s Schedule Monthly” is displayed for employees.